Not everything changes when you are on vacation. Many days the kids still rest in the afternoon. There is still about an hour after they go to bed before CavWife does, and I stay up late. Those are times when we may watch TV together, and at night I watch stuff that doesn’t interest her (Asian action movies for instance). Frankly, what am I going to do in the middle of nowhere at 10 pm? A few years ago my in-laws scaled back to the “basic” DirectTV option. This means there are tons of channels selling useless items, and a few channels of programming. ESPN is not one of them. So, for the last few years we’ve been streaming movies or shows from Netflix on first our iPod (now unable to connect to the internet after being dropping one too many times by a child who shall remain nameless) and then one of the kid’s Fire tablets. Really hard to read subtitles on such a small screen. As a result, I contemplated buying a DVD player like the one we have at home: one that has wireless streaming so I can watch Netfilx on TV. So on Monday I was heading into the “big city” of Glens Falls for a Wal-Mart run. I would see what they have. I would need one with a coaxial connection because that is all the old fashioned TV had. The Farm is literally a farm for old TVs thanks to my brother-in-law. For a few years his business renovated a nearby resort, and he got to take some TVs when they moved into the present. So when a TV dies … another takes its place from the barn. I still had the naive notion this would all be a very simple process. At Wal-Mart I discovered the Sony we have, or one like it. The box was sealed in such a way that I couldn’t check to see the types of connections. So, I had to ask a clerk and hope I got one who actually knew something. He actually did. “Nope, Blu-ray requires HDMI.” Have my hopes been kiboshed? “The Roku 1 uses the red, yellow and white plugs.” I call CavWife. The TV is so old it doesn’t have even these. “We have an adapter.” Okay! For less than the price of the DVD player I buy these two items. This should be simple! I did the hook up when was relatively simple if you discount the fact that we now had 2 additional odd shaped plugs to integrate into the power strip. Only one fit there. And I had to go online to set up a Roku account. But in streaming Netflix that very day the picture looked very good. Problem #1: the picture for the DirectTV was not so clear. Lots of snow entered the scene. Problem #2: There was no way to sign out of Netflix, and I didn’t want renters to use my Netflix account. I could solve #2 by just pulling it and putting it in the closet. Perhaps CavWife can deal with the snow on HGTV while she’s folding laundry. Maybe. The next morning I am summoned to the annex to talk with my in-laws. They have decided it is time to upgrade the TVs, beginning with the one in the master bedroom. I am commissioned to get one. I am leaving for NH in a few minutes. CavWife mentions Costco as an option. There are none up here in the sticks, but there is one in the city I grew up in. So … I took a trip to the MA border to shop at Costco while visiting my parents. Why? No sales tax! I was thinking a basic flat screen and a streaming DVD player. Hmmm, Smart TVs…. Seriously we don’t need a DVD player anyway. This seemed like a much simpler solution. So I grabbed one and was gone back to my parents. It was late at night when I thought, “Does it have a coaxial connection?” I was much relieved that morning to discover it did and I would not have to go back to Nashua. I got back to the Farm just after 2. CavWife wondered if I wanted to set up the TV. I wisely said “after rest time.” As a result we got one more show in from Netflix (thanks to a zillion interruptions from the “little people”). Round 1: No big problems at first. I found a Philips head screw driver to attached the feet. I disconnected the Roku, move the 1,000 pound TV w/out hurting myself (which gets harder as you get older) and made the appropriate connections. Easy! Then I turned it on. Not so easy. A Smart TV isn’t like an ordinary TV and I would learn this the hard way. Actually using it is simple, but getting it set up is another story. The remote didn’t have a menu button. The instructions talked about an app for my phone or tablet. I figured I would tackle that after reading. But first I found the input button and tried to at least get the tuner set up to use DirectTV (the irony is that if my in-laws still had Dish, we wouldn’t need to do any of this but could stream Netflix off Dish!!!!). After when seemed to be FAR TOO LONG it told me it recognized 0 digital and 0 analog channels. Minor annoyance, but I’ll deal with it after reading some church history. Round 2: I thought I’d finish up before dinner. I was actually able to download the app on my iPhone. This can be a challenge here in the land of no cell service. I synced the phone to the TV. Okay, this might be easier than I thought. Connect to network ….. “Error”. What kind of error? Try again. “Error”. “Error.” “Error.” Mounting frustration. If I don’t know what is wrong, how can I resolve it. I am being outsmarted by a Smart TV. I call customer service while they start dinner without me. Two people I don’t know are joining us. The company boasts about their U.S. customer service. I’m pleased with that, but I just want one of those U.S.- based persons to talk to. I get a guy whose name I don’t catch and he’s uncertain as to the error. Of course I need the model/serial number. Now I need my reading glasses which are downstairs. Wait! I have a pair of reading sunglasses upstairs. He knows where I bought it. Does he really work for the NSA? The Smart TV is so smart it will only connect to a secure network. Forget the fact this TV is in the middle of nowhere with no neighbors close enough to “steal the signal” and any car in the street will stick out like a sore thumb. There is NO need for a secure network, but now I’ve got to secure it. This includes the extender I set up years ago because the farmhouse is too big for the crappy little router provided by the phone company. Those instruction manuals MIGHT be in the house since my father-in-law is a hoarder wanna be, but …. I head to dinner, exasperated. When I’m exasperated, I rant. Surely the guests think I’m crazy. And I might be … have you met my family? Round 3: I am still reeling by how complex this whole thing is become. First I need to secure the network, or at least the router. This requires calling their customer service. I don’t bother. I know they will have to verify so my father-in-law needs to do all that and then hand it over to me. That is two phone calls and 3 security checks later. I, of course, have no cable to connect directly into the router. But she gives me the URL and we’re cooking with gas until I find out after the fact that my password didn’t have enough characters. It won’t let me go back, I have to start over. I come up with a new password, write it down with a crayon, frustrated that now we’ll have to input this into all the computer, devices etc. that we have. Thank you, Smart TV. Round 4: I go upstairs to resume the process of connecting to the network. It, obviously, has timed out. The app isn’t very user friendly. I start all over again. I get back to connecting to the network. Pinwheel of death. Rising frustration. Again. All I wanted to to be able to watch Netflix. Adam, what have you done!? Life should be this hard. Or at least connecting a TV should be. I’m thinking, how will renter ever use this thing????? CavWife looks at it, being far less exasperated at this point. Maybe I’m missing something because I just want to curl up in the closet in the fetal position but I am pacing, ranting and wishing I had hair to pull out and beer to drink. 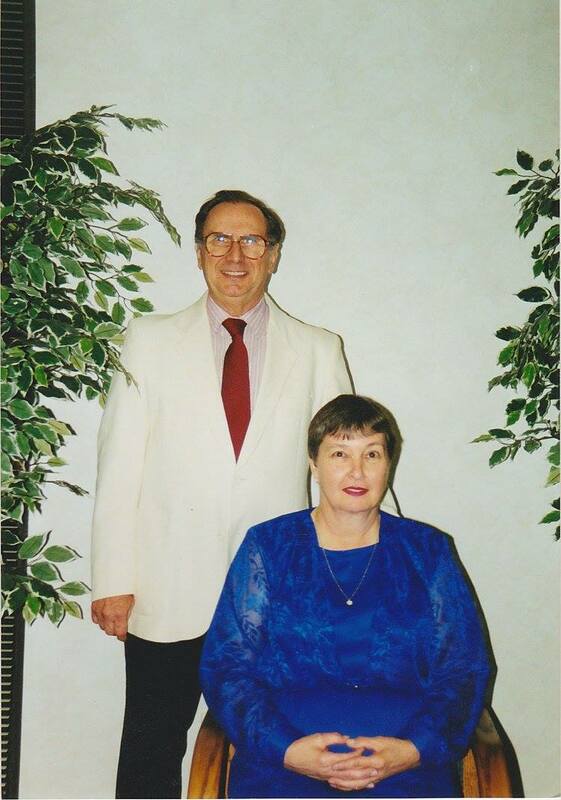 Jesus gave me a helpmate, and it is time for her to help. I don’t know what she does, but worse don’t know what to do next. She’s calling customer service. We are struck by the irony that they are playing music from the 80’s but we need help with technology designed by and for people in their 30’s. I used to be tech savvy but it sped up so quickly I now feel useless. Thankfully CavWife is on the phone since I’m so aggravated. I don’t want to take it out on the innocent person on the phone. Oh, we have to start all over. Again. Where is the strait jacket?! But we are making progress. I actually interact with the customer service person. Essentially my phone is a remote for the “casting”. The apps aren’t on the TV, but on my phone. Renters don’t need to download the app, or sync phones but just be on the same network as the TV. This means I don’t have to worry about them using my Netflix account. We are making progress. We go back to the tuner and the interminable search finally uncovers the DirectTV. We’re cooking with gas now. But I feel like I imaging Ali felt after the rope-a-dope. Still standing, “victorious” over technology, but it was touch and go there for awhile. There’s just that little matter of the internet extender for the rest of the building. And returning the Roku. Last year Banner of Truth released a new translation of Calvin’s Institutes of the Christian Religion 1541 edition in French translated by Robert White. This is subtitled Calvin’s Own ‘Essentials’ Edition. This is one volume and about 800 pages. The McNeill (ed)/Battles translation of the 1559 Latin edition is 2 volumes and 1,500 pages. So, this is a significantly shorter edition of Calvin’s Institutes. This is a very readable translation. I generally enjoyed the translation and preferred the typesetting over the McNeill edition. It was easier to read. It was like a different book because so many familiar sections were missing since Calvin himself was in an earlier stage of his ministry and theological development. As a result, I would recommend owning, and reading, both editions. This edition does not follow what would become standard systematic categories in its approach to explaining the Christian faith, and distinguishing the views of the Reformation from Roman Catholicism as well as Anabaptism (the radical reformation) as well as popular contemporary heresies. In this way, it is obviously a product of its time. Our theological struggles can be different though sometimes they are the same struggle with a different name. Calvin frequently interacts with earlier theologians so there are plenty of references to Augustine, Cyprian, Aquinas, Chrysostom and more. Keep in mind he didn’t have the internet or a computer to run a search in a book for a quote. He was well read. One of Calvin’s commitments is to revealed theology, not speculative theology. It is alleged, and oft repeated by me, that his favorite verse was Deuteronomy 29:29. 29 “The secret things belong to the Lord our God, but the things that are revealed belong to us and to our children forever, that we may do all the words of this law. That focus on union with Christ is not as prevalent in this edition as in book 3 of the 1559. He does begin this edition in a similar place: the knowledge of God. By this he doesn’t mean theology proper, but how we come to know God. He moves on to discuss, in one of the largest chapters, the knowledge of man and free will. He takes a number of difficult issues right off the bat. He moves to the Law and then Faith. The chapter on faith explains the Apostles’ Creed. As a result, this is where the theology proper and Christology resides. If you simply look at the chapter titles you may think he doesn’t cover these things, but he does them in the context of the Creed. There is a method to this “madness”: he’s showing the king of France our continuity with historic Christianity. From there Calvin moved into distinctive views that set the Reformation apart from contemporary Catholicism and other views of his time: repentance, justification, predestination and providence, prayer, the sacraments, Christian freedom, the power of the church, civil government and the Christian life. His style of writing is very much caught up in these controversies. And the “spirit” of his age. While not as colorful as Luther, he still offends our modern sensibilities (and makes the politically incorrect among us laugh). There are a number of significant ideas here. I’ve blogged on some of them, and hope to get back to some more in the future. I think this is an important read to understand the Reformation, particularly the magisterial branch that was rooted in Geneva but spread through the continent, over to the British Isles and eventually the new world. Invest the time in one of the classics. Jared Wilson’s new book is a bit of a departure for him. He has written mostly for the church and its relationship to the gospel. With Unparalleled he seeks to talk to the world about the gospel. 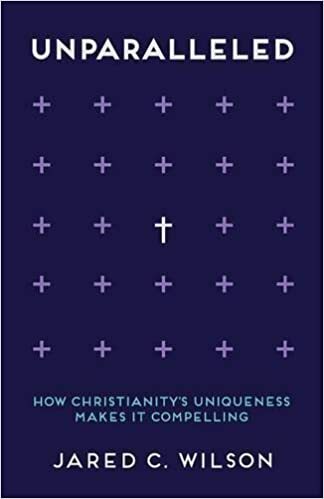 The subtitle is How Christianity’s Uniqueness Makes It Compelling. That is Wilson’s goal in this book, to reveal this compelling uniqueness. This is not an evidentialist kind of book like Evidence that Demands a Verdict. It is more in the tradition of Mere Christianity and The Reason for God. Wilson covers the territory in different ways but it winsome rather than confrontational. He adds some humor. He removes some of the philosophical sophistication of Lewis and Keller’s books. But he is speaking to a similar skeptical world to the ones they did. He begins with how the God of Christianity is different and cycles through the following: the Trinity, Human Dignity as the Image of God, Human Depravity as Fallen in Adam, Jesus is God, His Substitutionary, His Resurrection, Salvation, Mission and Eschatology. So he treats the major doctrines of Christianity, in a good logical order, He does this with an eye toward showing not simply the reasonableness of Christianity but how it is profoundly different (and better) than any other faith tradition. This is really the important thing- that profound difference in what we teach about God, man and salvation. As he does this, he often brings us into conversations with cab drivers like Omar and (the midnight) Tokar. There are dying church members, high school friendships and a boss. The questions and comments of skeptics and atheists often move the discussion forward. This is a book I would commend. It isn’t perfect, obviously. Perhaps because I was studying the Trinity shortly before reading the chapter I found it took abit too long to get to the crux (as least for Augustine and Michael Reeves); God is love. This is what makes the God of Christianity profoundly different from the god of Islam or any other faith. He gets there near the end of the chapter, but dabbles in some unsatisfying material first. The incomprehensible nature of the Trinity isn’t really what matters, though it is true. That people want a God of love is important. Not just loving, but love as central to His essence and character. The Christian understanding of mission is very different. It is not a self-salvation project. It is a response to grace received. It is also about offering grace instead of demanding change. Christianity thrives as a minority faith, and one that serves the ones deemed unworthy by society. While he notes the great things Christians do he also notes we don’t have cameras following us to show the world. This is why the new atheists can get traction with the claims of religion causing so much harm. They ignore the damage done by atheistic regimes, but more importantly the many hospitals, schools, poverty agencies etc. founded by Christians. His chapter on eschatology isn’t what many might think. Like many, he heard about “heaven”. I’m guess he also heard about the rapture and great tribulation. But the focus here is not on these, but on the new heavens and earth. There is a physical, as well as spiritual, hope for Christians. While the world seems to be running down, these groans are birth pains for the renewed or restored creation in which all God’s people will spend eternity. We don’t have a faith that hates this world, but one that hates sin and misery while longing for the removal of the curse from creation. As you read you do find a comprehensive world and life view that makes sense, and better sense of the world than any other. The tension between the dignity and depravity of man helps us understand why we see glory and why we experience evil. The gospel of grace is fundamentally different than the salvation offered by other faiths. Grace and glorification leave the others in the dust. It is a faith for real people, real sinners, as I listen to Johnny Cash’s American VI which was largely about his hope in Christ. This book if for the real people in your life. The ones who would find C.S. Lewis dry or Tim Keller a little intellectual. It is for the skeptics in your life. The power to change their hearts and minds lies not in Wilson’s words. Like Tokar they may just shrug. But God may use it to see and delight in Christ for their salvation as a result. The Boston Celtics have so many draft picks it nearly is their draft. In the first round they have the 3rd (Nets), 16th (Mavericks) and 23rd picks. In the second round they have the 31st (76ers via Heat), 35th (T’wolves via Suns), 45th (Grizzlies via Mavericks), 51st (Miami) and 58th (Cavaliers). Way too many draft picks. This is 8 players, more than 50% of a roster. 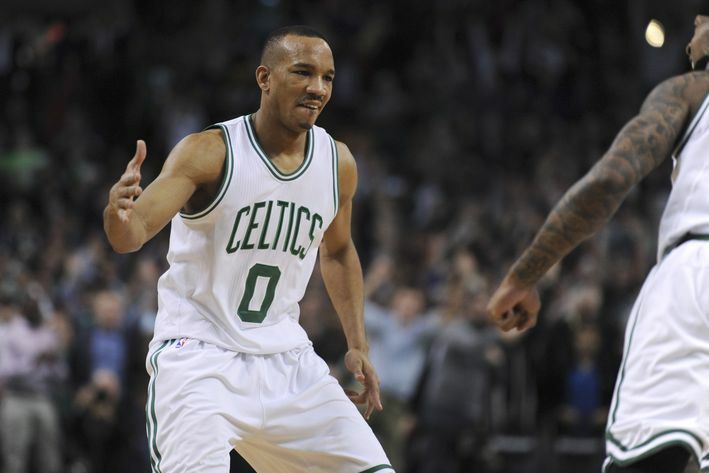 They have 3 guys who are free agents: Evan Turner, Jared Sullinger and Tyler Zeller. They have players who have team options: Amir Johnson ($12 million), Jonas Jerebko ($5 million). IF they just let them all go they still wouldn’t have enough openings for 8 draft picks. At least with the 2nd round picks there are no guaranteed contracts so perhaps only 1 or 2 make the team. AND they have plenty of cash available combined with a desire to sign some elite talent. All of this adds up to a roster crunch of enormous proportions. They have chips they can use, but every knows they need to move people and/or picks. So in one sense, they are over a barrel. Maybe. There are no shortage of options. I can think of at least 2 deals that could include the 76ers, who own the first pick. The 76ers also have a surplus of bigs and a need for perimeter shooters. Lots of people advocate for a trade of the #3 pick, and perhaps a player or two for Okafor. There is another option. They could swap picks with the 76ers by tossing in another 1st round pick and some 2nd round picks or players. This means they wouldn’t have to pick a big at #1 but could draft a guy like Dunn who doesn’t want to go to the Celtics because they have too many guards. They Celtics could then draft Simmons or Brandon Ingram. They could also draft a European player or two and stash them overseas for a few years. While Ainge seems to like Dragan Bender, I doubt he is NBA ready. Luwawu, though smaller, seems to be in the same boat. Another possibility is drafting an outside shooter like Hield while using players like Smart or Bradley in a trade (with picks?) to get swing or inside players of note. I’m not sure why high profile free agents would come to Boston. While it has plenty of money, this is a playoff team that will experience high turnover. The most important players will be back (unless they trade Bradley who is their best perimeter defender). You can stop imagining Durant or Horford in Celtic green and white. The possibility of prying a player like George or Butler from their teams seems highly unlikely. What seems likely is that we’ve seen the last of at least Sullinger, Zeller, and Turner. Probably the high priced Johnson as well. Like I said, lots of turnover. What we do know is that we should expect the unexpected. We don’t know what it will look like, and we don’t know if it will actually make the team better.